I call these 10 workout tips the “secret sauce” of losing body fat. Why? Because together they comprise the ingredients of a training program that will help you get lean. Ready to burn some fat? Let’s go! I’m not talking about 5-pound dumbbells here. You need to challenge your muscles and to do that, you need to lift heavy weights. Heavy weights engage more muscle fibers, and the more muscle fibers you engage, particularly the fast twitch type 2 muscle fibers we’ve talked about before, the more you are going to stimulate muscle growth and strength. Simply put, more muscle will help you maintain better hormonal levels and a revved-up metabolic rate that will keep you burning fat all day long. Because you’re lifting heavy weights, you must choose a lower-rep workout program. That means instead of doing 20 reps with a light weight, instead you want to choose a weight you can only lift about 4 to 8 times with proper form. Why? The lower the repetition range, the more the focus is on strength development, not muscle growth. I know you’ve heard it before, but it’s true: Women don’t have to worry about bulking up. Women do not have enough testosterone and they also don’t have the genetic makeup to build bulky muscles. Lifting heavier weights also helps with bone health, which becomes increasingly important as we age. This is especially important for women, because osteoporosis becomes a major issue as estrogen levels start to drop when women reach their mid-50s. The earlier we begin resistance training the better. That doesn’t mean children should start hitting the weights when they’re five years old, but it’s perfectly fine for them to start lifting in their late teens and go forward from there. Keep moving! If you do a set of squats and a set of push-ups, don’t sit around chatting on the phone or reading a magazine between exercises. Instead, go from one exercise to the next with very little rest. You can set up these exercises in a circuit fashion, where you go from one exercise to another to another. The less rest you incorporate into your workout, the more challenging it becomes and the more of a cardio workout you get while strengthening your body. This is also a great time-cutting workout tip because if you lift weights in this fashion, you don’t actually have to do additional cardio because you’ll have turned it into a cardio workout on its own. Note: Three signs your weights workout has become a good fat-loss workout: you’re huffing and puffing, your body temperature increases and you’re sweating. Train movements, not muscles. 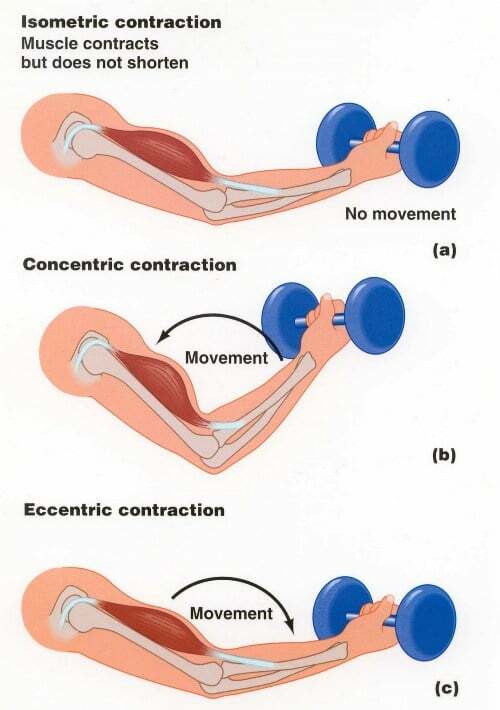 By that I mean don’t worry about exercises focusing only on small muscle groups, like biceps curls. That being said, if you do want to focus on biceps, you can do a full-body movement like a pull-up, where you get more muscle involved and you challenge your body a lot more effectively. Why focus on complex, compound movements? Because we want to burn as much fat and as many calories as possible during the workout. To do that we want to get a lot of muscle involved. More muscle involvement allows you to benefit from post-exercise oxygen consumption, or EPOC, a metabolic effect that causes your body to continue to burn calories after your workout. Instead of doing a shoulder press by itself, you could do a squat press, where you take the weight to your shoulders and rather than just lifting it over head, you would drop down into a squat and then push the weight up as you stand. Or, even better, start with the weights at the floor, lift them up, and then push them above the head. This works because the more weight you move over a greater distance, the more calories you’ll burn. You’re doing more work and getting more muscles involved. That’s really important. Another key workout tip is to lift weights — even if it’s your body weight — as explosively as possible, in a controlled fashion. And then as you lower the weight back down, take it nice and slow. Think about a six-second negative, or eccentric, contraction. Here’s why: an explosive lift, especially when we’re using heavier weight, engages more muscle fibers. We get into the type 2a and type 2b fast-twitch muscle fibers that are so important for our strength and muscle. I talk about this more here. The same thing goes for slowing those weights down as you lower them. That allows even more of those type 2 muscle fibers to get involved, and we start to get some great strength gains and metabolic benefits while doing less. When you lift explosively and go slowly on the way down, you don’t have to do four sets; you don’t even have to do three sets. You can do one set with a good, challenging weight, where you’re focused on four repetitions and really going slowly on the way down. This is where the trauma occurs; good trauma, the good stress that makes our muscles stronger. Focus on the negative part of the lift, that’s really important. You’ve got to get off the cardio machines. It drives me nuts when I go to the gym and I see women just pounding away on the treadmill or the elliptical. It’s a waste of time. Before I get too deep into this topic, I have to jump ahead because these tips go together. Start your workouts with some light cardio activity. Maybe it’s five minutes of jogging, biking or elliptical. Maybe it’s something full-body: rowing is awesome, skipping is great, as are jumping jacks or any basic total-body movement. That’s the aerobic component, which gets our body heat generated. Then we layer on some dynamic movement to prepare our muscles for the workout. Instead of holding a triceps stretch, why not do monkey arms? That warms up the rotator cuff and gets the shoulders limbered up by moving the muscles and limbs through ranges of motion. Likewise, rather than doing a passive chest stretch, you could do a swimmer’s stretch, where you open up the chest and work a range of motion to get the muscles more elastic and ready for the workout. 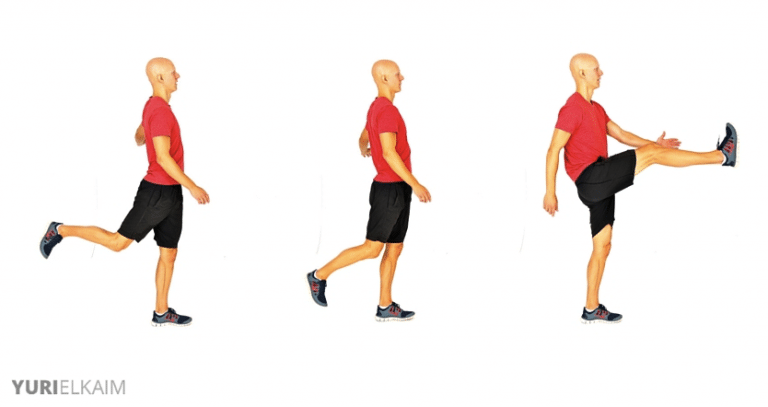 It’s good to warm up with light cardio then follow it with dynamic movements like those I’ve outlined, and you could also similar activities like lunge walks to get the joints loosened up and lubricated. Once you’re warm by doing the light aerobic activity and warmup exercises, all you’re going to do for cardio is intervals. And you do intervals by alternating periods of how hard you’re working. For example, you’ll do 10 seconds on, 20 seconds off; a 10-second sprint, 20-second jog; or a 30-second sprint and a 40-second jog. You can choose the combination that feels best for you. The key is to go high-low, high-low, high-low. What that means is that instead of spending 30 or 60 minutes and doing cardio, you’re spending 10 minutes — maybe 15 minutes if you’re fit — on the cardio component of your workout. If you’re going full out and then recovering, you’ll be feeling it. This kind of cardio workout gives you huge metabolic benefits. Interval training gives you bigger increases in growth hormone and testosterone, which are very important for burning fat and maintaining muscle, which you don’t get from long-duration cardio. Plus, you don’t have to spend as much time doing it. You get much better results — more fat burning, more caloric expenditure, which has been shown in hundreds of studies — and it’s just much more time-effective. A proper cool down doesn’t mean to stretch and that’s it. A proper cool down means bringing your body back down out of sympathetic fight-or-flight stress mode, which is what exercise creates, to nice and Zen. I’m going to give you two steps to do this. First, start to settle your body down by doing some light movement. Walking on the treadmill, as an example, is great, or if you’re outside, just walk it out. Then, sit down and meditate. Seriously. You have to reduce the fight-or-flight response in your body after the workout. Otherwise, you’re going to be jazzed up and in a really crazy physical state for a bit, especially if you’re doing these high-intensity workouts. Bring that intensity back down and cool down your body. Focus on deep breathing for a few minutes; it’s awesome. Again, I’m talking about fat loss here, not about high-athletic performance. If you’re an athlete, this is a little bit different. But if your goal is fat loss, one of my key workout tips would be to train without food in your system. If it’s first thing in the morning, train on an empty stomach. If you want to have some branch-chain amino acids before your workout, that’s great as well. The reason training on an empty stomach is best is because if you don’t have food in your system, your body is going to rely on stored fat, more so than it would if you had high blood sugar and high insulin because you just ate something before your workout. Fasted workouts are going to help you burn more fat. Delaying eating helps prevent something called re-esterification, which is when a lot of the fat that was broken down during the workout starts to circulate as free fatty acids in your bloodstream. If you don’t continue moving in that fasted state for a little bit, your body will start to bring those back together and put them back together as fat. To avoid re-esterification, I normally suggest your biggest meal should come after your workout, and generally it should. However sometimes, if you want to really enhance your fat loss, you can remain in a fasted state for about an hour. Don’t eat anything. You should still drink water, but don’t eat anything for about an hour, and continue moving your body nice and easy. Go for a walk or something to allow your body to use more of those fatty acids as fuel for recovery. Pushing yourself during intervals can be tough but it’s definitely worth the effort. Did you enjoy these 10 smarter workout tips? You might also like my free Fat Blaster Workout. You’ll combine a powerful strength and interval cardio session all into one workout so that you get leaner and fitter, faster. Click the banner below to get it for FREE.